You can reference a full example of the completed exercise at the bottom of this page. In the previous exercise you generated a bunch of web application ideas. But here’s the thing: you need to pick one idea to work with for the rest of this course. Turn to your List of Web Application Ideas in your notebook. Rank the items in that list. Starting with your favorite idea in the list, write a “1”, next to it. Then write a “2” next to your second favorite idea. A “3” next to your third favorite, and so on. You now have a ranked list of your app ideas. 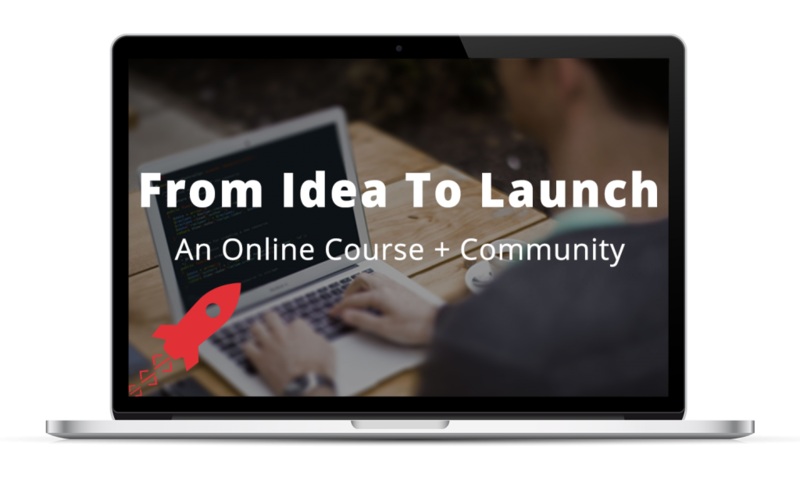 Now you just need to make sure that you can run with your #1 idea, and then break it down. Follow the steps below to both: 1) make sure you can use your #1 idea; and 2) break down that idea and define its different objects and classifications. Using your #1 idea, go through the Breaking Down Your Idea worksheet below and answer each of the questions listed. If you can easily answer all of the questions, you’ve found your idea! You’re all set, and you can build your web application based on this idea. If it’s particularly hard to answer most, or all, of the questions, this isn’t the best idea to pick. You might be able to force it, but the process would likely be overly difficult. Go back to your list, and using your idea ranked #2, go through the worksheet questions again. Repeat this until you have an idea that passes the test. Not including “people” or “users”, can you easily pick a single, “main” object in your list from #1? The “main” object should be the one type of object that is at the center of the application. If so, what is your main object? I’m going to build an application that lets other people submit programming questions — with a description and code sample — and lets me post replies/answers to those questions. 3. Not including “people” or “users”, can you easily pick a single, “main” object in your list from #1? If so, what is your main object? In general, I ask myself whether the idea I have could be deconstructed into parts that would represent Create, Read, Update, Delete actions. So, if you were to take Facebook, the general idea could be “a social network of people you want to stay in touch with”. And then you could ask “What is the most important thing that a typical user creates/reads/updates/deletes on Facebook?” To which you would answer “Posts”. In Alex’s system, he would refer to Posts as an Object. And the Classifications of Posts would be things like Text, Photos, Albums, etc. Turns out another important Object that a user creates/reads/updates/deletes is a User Profile. This now seems like something that is more manageable and actionable. Reach out to me. I will help you figure this out. …or any number of other things. If that’s the case, send me an email and I’ll help you sort things out or check out the List of Good Web Application Ideas in the Resources section of this lesson. It’s a list a put together for you that contains a bunch of application ideas that I came up with that I know will work well. It’s super important to pick a good idea at this stage to set yourself up for success with the rest of the course! Congratulations! You picked the web application you’re going to build! Throughout the remainder of the course, I’ll walk you through the process of building your application, step by step. The best is yet to come.